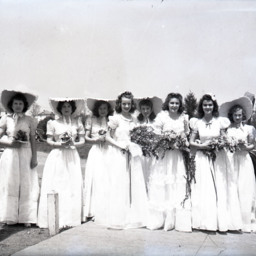 Photograph showing unidentified members of a May Day Court at the Woodstock School on Court Street. 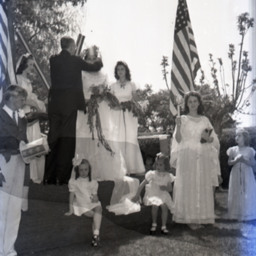 In the center the May Day Queen is being crowned. 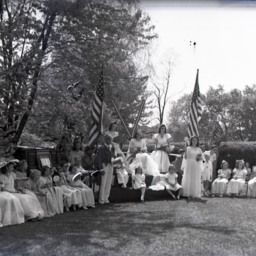 Photograph showing unidentified members of a May Day Court at the Woodstock School on Court Street. 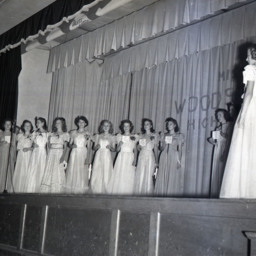 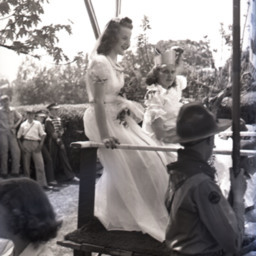 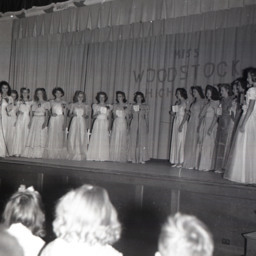 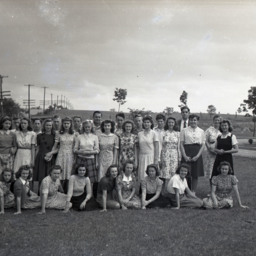 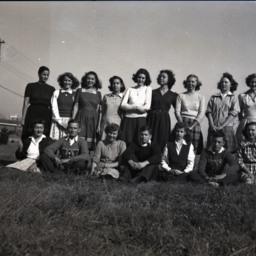 Photograph showing contestants at an undated "Miss Woodstock High School" beauty pagent. 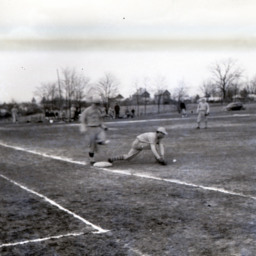 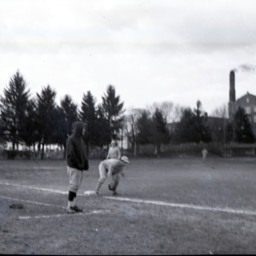 Photograph showing unidentified individuals playing a baseball game at Massanutten Military Academy (MMA). 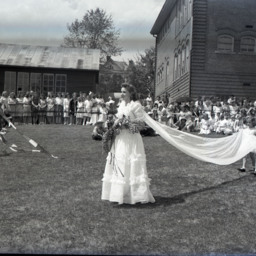 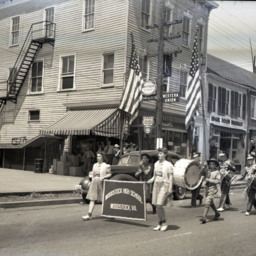 Photograph showing an unidentified women in a dress attended too by two small children at a May Day celebration at the Woodstock School on Court Street. 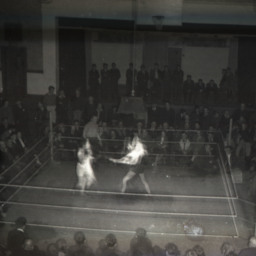 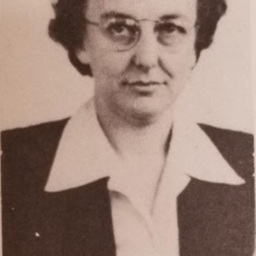 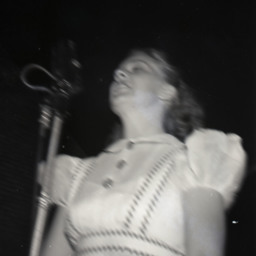 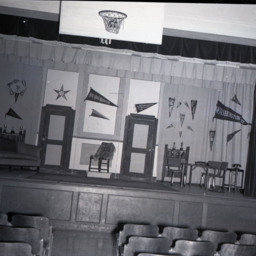 Photograph of an unidentified female singer at the Woodstock High School Gymnasium. 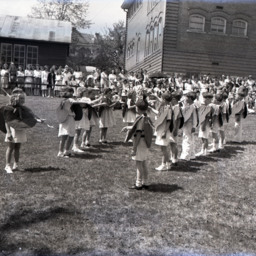 Photograph of a group of unidentified girls dressed for a May Day festival at the Woodstock School on Court Street. 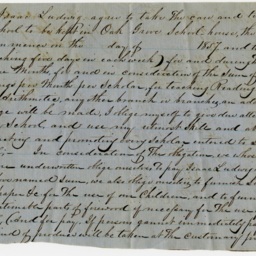 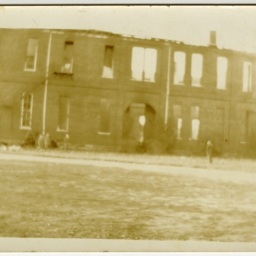 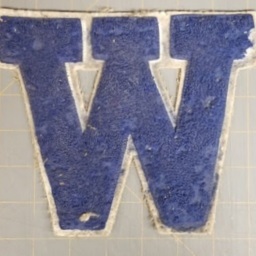 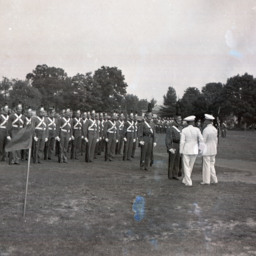 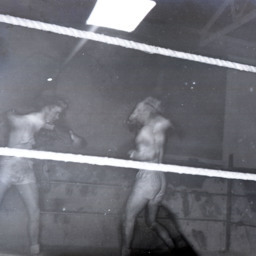 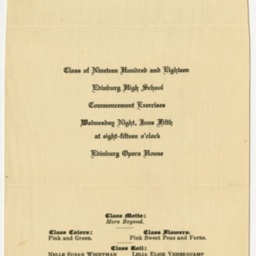 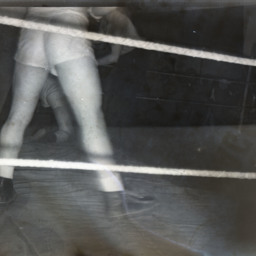 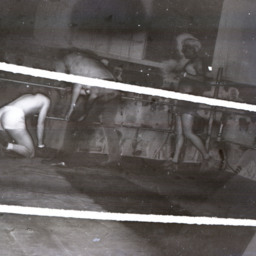 The photograph is undated.